Newton’s first law of motion describes inertia: An object at rest will stay at rest, and an object in motion will stay in motion — with the same speed and in the same direction — unless acted upon by an unbalanced force. In the same way, entrepreneurs must launch into productive motion or risk a short-lived, unprofitable career. 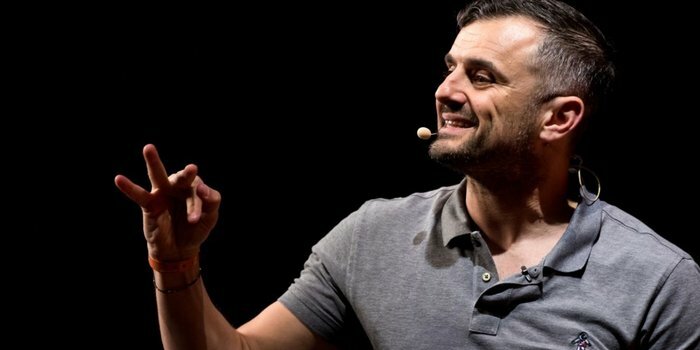 Deca-millionaire Gary Vaynerchuk, CEO of VaynerMedia, believes anyone who wants to make extra money should spend their Saturday mornings shopping garage sales and browsing thrift stores for good deals. The advice applies particularly to new entrepreneurs, and the purpose is simple: to “flip” this inventory for profit, using the internet and social-media platforms. Vaynerchuk is so convinced by the value of this training exercise that he issued a worldwide challenge to his YouTube audience. He called it “#2017flipchallenge.” His own stated goal was to make a $20,170 profit during the year, using a combination of these previously used goods and expendable valuables lying around the house. This challenge serves as the unbalanced force in the inertia equation. It has the potential to propel an entrepreneur beyond working at the same speed as everyone else. Here are six powerful takeaways. 1. Feel the power of one small win. People need confidence-builders along the way. They enhance learning experiences and increase the desire to persevere through difficult times. Your fruitful results tend to boost your self-confidence. This allows your mindset to shift into the realm of possibilities. Granted, you probably aren’t planning to be a professional garage-sale flipper. But buying and successfully selling items for profit can help you gain valuable experience in a real-world scenario. One small win can serve as a better lesson than some college courses to fire up your confidence. 2. Build a strong work ethic. Being your own boss and running your own business has its perks. To gain a competitive advantage, though, you’ll need self-discipline and the ability to effectively manage your time. This enables you to maximize your productivity during the work week. Waking up at 5 a.m. on Saturdays — a day when many choose to sleep in — is one way to make the most of the day’s buying opportunities and build an unbreakable work ethic. The entrepreneurial journey is filled with many moments when you must say “no” to the decisions many others make. In actuality, you’re saying “yes” to furthering your dream of financial freedom. Before you set out to see what great deals might be waiting, you need to do your homework. Don’t just explore what you can buy. Research and specialize in a few types of products so you can make the best buying decisions. The more information you gather, the more more likely you are to make smart purchases — and realize a greater profit. 4. Monitor supply, demand and market conditions. Exercising due diligence also means studying products and monitoring prices. There’s a lot more to the #2017flipchallenge than buying old sneakers and trying to resell them. What are similar items of interest selling for? What’s the market demand? And what’s sitting stagnant on e-shelves? Monitoring and analyzing these conditions will help you decide not only what to buy but when to buy it. Your goal is to pay your bills and remain profitable while doing something you love. The practicality of Vaynerchuk’s challenge centers on teaching people actionable and simple ways to make money with a little bit of effort. If you’re able to make a bit of money doing something, you’ll probably continue doing it. Allow the exhilaration of the process to work its magic. Enjoy yourself and the company of others you may meet (or take) along these Saturday journeys. It’s all about having a good time and experiencing the growth that this process will bring. In classrooms around the world, academia’s limits can hamper students from gaining positive entrepreneurial experiences. Vaynerchuk stresses that something as simple as garage-sale shopping can be an enjoyable and valuable learning tool. And if a super-successful entrepreneur still takes time to engage in this process, there must be something to it. Go out and try it. You may learn something new or feel a fire rekindle within you. Either way, these lessons require no time in a classroom and no tuition — and they’re likely to pay some meaningful dividends. February 12, 2018 Copyright by Entrepreneur Media, Inc.